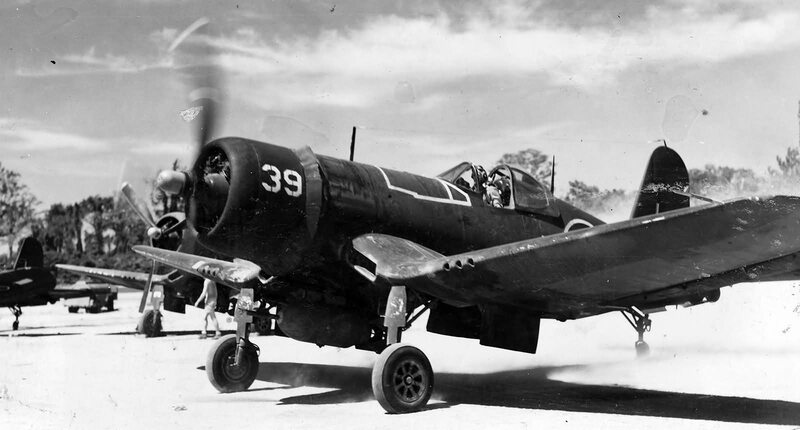 Has anyone figured out how to drop bombs from "multi-role" fighter-bombers (P-47, F4U) with any semblance of accuracy? Apparently they were relatively effective that Western allies all but gave up on dedicated single-engine attack bombers toward the end of war, yet I can't figure out how on earth could they hit anything without a bomb sight. I'm missing my targets by 300~500 m.
Low level delivery - basically fly tree top level and drop when the target sinks below your nose. Dive bombing. What you do is you pick certain delivery speed, altitude and angle and remember what position the target has to be on the sight. Let's say 45° dive, 1500 ft drop altitude, 250 kts speed, you remember that the target has to be let's say at the very bottom of the reticle. Try it out. If the bombs land long, you change the aim. You train, on and on, and you figure out how to aim eventually. Not to forget it's a matter of experience. In contrast to ourselves being occasional simulator jockeys with a habit of flying different types of aircraft and different types of loadout all the time, real life pilots flew the same type of kite for several years, day after day, and they used one or two types of bombs throughout that whole journey if they were FB pilots. If you drop the same type of egg from the same type of aircraft at the same type of target for the 100th time, you would hit it blindfolded. You can't miss that much unless you drop your bombs from too far. If you're bombing from a shallow dive (25-45 degrees), you shouldn't release your bombs until you're dangerously close. Aim a bit behind the target and drop the bombs when the target disappears under the nose of your plane, but anyway before crashing into the ground. That N milliseconds of delay after the target's disappearence and before your crash is what Mike called experience. I'd add that proper target selection will help. Avoid single small targets - unless your mission is AAA suppression or alike. Choose long columns and trains. Don't forget to check fuse delay. With good practice almost every plane in this game can do accurate "fighter-bombing" from shallow dive. I did it in Pe-8 using cockpit frames as a "gunsight". Absolutely anti-historical but a lot of fun. Thanks a bunch guys, I'm now able to hit most stationary targets with my P-47. My goal is to be able to hit moving ships. Apparently the USN was able to do it with reasonable accuracy using F4U toward the end of war. My goal is to be able to hit moving ships. If you're using this tactic against a fast-moving target you need to predict where it will be after 2-3 seconds and aim accordingly. Fortunately, ground vehicles and ships in the game are too "stupid" to stop or swerve to avoid "running over" the bomb when it explodes. Make sure that you have at least a 2-3 second delay on your bomb fuses to avoid blowing yourself up. It's also not so good for heavily defended targets unless you can use the terrain to your advantage, flying "nap of the earth" until you get near your target. In any case, immediately after your release you should break right or left while keeping your airspeed up, but to help clear the bomb blast area and to make a less predictable target for flak. This technique often gets called "glide bombing" because the angle of attack is shallower and you don't deploy dive flaps in the same way a dedicated dive bomber would. You always want to have some degree of dive when you release the bomb to minimize its forward motion, making it easier to aim. Low level bombing and glide bombing are also easier if you align your target path so it follows the target's longest dimension and its travel path (assuming a moving vehicle). For example, if you're bombing a train align yourself so that you're flying over the railroad tracks, coming up on the train from behind. Or, if you're bombing a ship line up so that you overtake it from the rear. The exceptions are true "skip bombing" where you want to fly level and at right angles to the target's path, so that the bomb hits it broadside.